Borderline numerology for sure. However, there's less mystic conclusions drawn by McClain. The mathematician's comment at the back of the book is rather to the point. 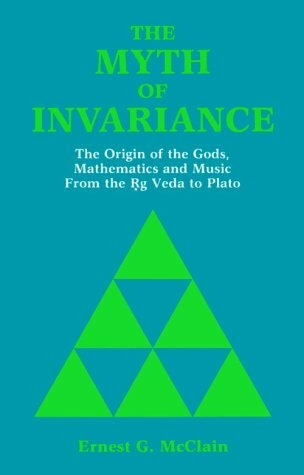 It's difficult to understand the methodology he proposes for reading the harmonics into all of these texts, but it certainly bears some fruit. Though whether the fruit is ripe or rotten is difficult to discern. Ernest G. McClain - Ernest G. McClain is Professor Emeritus of Music, Brooklyn College of the City University of New York, retired since 1982 and living presently in Washington, D.C Clarinetist, band director, author of three books and more than thirty related essays in various professional journals, his degrees from Oberlin, Northwestern, and Columbia are in Music Education.